Today Microsoft Insider team announced the release of Windows Server 2016 17035 Insider build. After the major release of Windows Server 2016 version 1709, Microsoft is gearing up for the 1803 release of Windows Server in March 2018. It looks like the process is getting better and now when more deployment options to try the new build plus project Honolulu is also in the mix. The new build is also available as a .VHDX file that can easily add to a Hyper-V virtual machine. If you plan to use the .VHDX file makes sure you use a generation 2 Virtual Machine and not 1. Also with 17035 the new Windows Server Manager Web Interface known as Project Honolulu is available in a new technical preview edition. And as always and 2.8GB ISO image of the new build is available. Below you can see all the options. In my case, I’ve decided to try the new .VHDX and load the VM from it. The big news of 17035 is that Storage Spaces Direct which comes with new and important updates like Data Deduplication support, and ReFS. Those two changes will bring 50% reduction in data footprint. The new Project Honolulu technical preview 1711 build 01003 is now available with Server Insider before the public can access it. 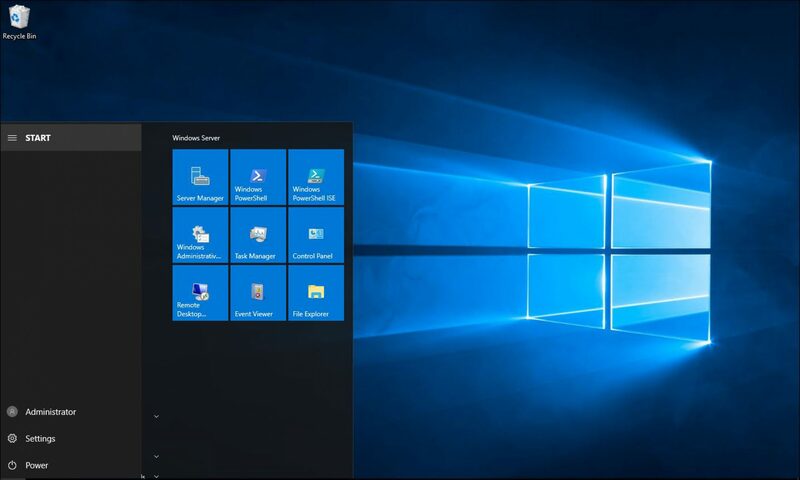 The new features Include Windows 10 management and a new remote desktop for connecting to targeted machines.